Anybody interested in starting a European Car Cruise-In once a month? It just a thought I had. We kinda have that. It is call the club meeting. It is the second Tuesday of every month and the meeting is at SANTA-FE in Midwest city off, I40 and Air depot, across from Tinker AFB. 7:00 p.m. for our monthly get-to-gether. I am not talking about a meeting. This would be like the hot rods do at coits now but with Import cars. There is no meeting involved it is just hanging out. Ive thought a bunch about this actually. Cool maybe we can put something together when you get back. Do an online thing like this? Google search looks like nothing for vintage anything specifically except us. There is a Z car club, but is up to 350z. NISMOKC is for newer nissan. Porsche club is for all. 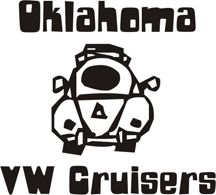 Im sure not enough volvos, minis, gogos, subarus etc for a OKC club.